1. 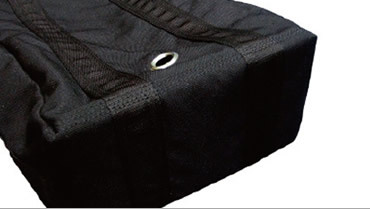 Three 3.5 cm straps crisscross the bottom to increase loading capacity. 2. 4 mm thickness acrylic plate on bottom distributes the chain weight evenly. 3. Upper metal frame keeps chain bag in rectangular shape. 4. 2 drainage holes on lower side to prevent accumulation of rainwater in case of outdoor use. 5. Made of high grade black 1000 deniers woven fabric. 6. Side strap with triple stitches. 7. 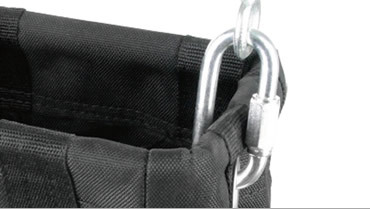 Each chain bag comes with two eyehooks; quick link carabiners attached to the eye ring at two sides. 1. 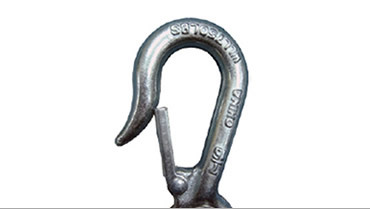 The bags are sold individually including eyehooks and quick link carabiners for fixing them to the hoist. 2. Other size, styles and logo embossed are all available upon request. 3. 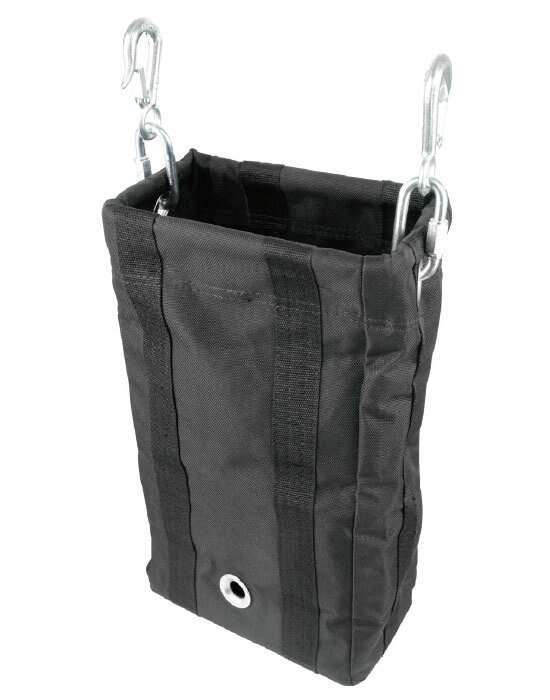 The chain bag is compatible with all major brand chain hoist. 3. Max. recommended capacity for loading: 75% of bag space. 4. Under no condition should the hook block or load be permitted to come in contact with the chain bag. If contact is made, the function of the chain bag can be interfered and become imperiled. 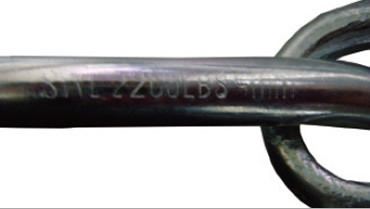 Each eyehook has WLL 750 lbs (340.19 kg) and dimension 7 / 16 embossed. The drainage hole on lower side to prevent accumulation of rainwater. 4 mm thickness acrylic plate to distributes the chain weight evenly. Each quick link carabiner has SWL 2200LBS (997.90kg) and Dia. 5mm imprinted. Side eye ring for fasten a quick link carabiner and eyehook. This distributes the weight more evenly on opening frame. Three 3.5cm wide nylon straps to enhance loading capacity.